David Byrne in Montreal or Quebec City? Inform me about the next events for David Byrne. Enroll yourself to our priority waiting list for David Byrne to be alerted when new tickets are available. Filling this form doesn't engage you to any purchase. David Byrne will be performing in Montreal on September 12th, 2018. He will be playing at the Bell Centre ! That's great news for the fans of his mythic art-pop band The Talking Heads, who made him famous in the 1980's ! 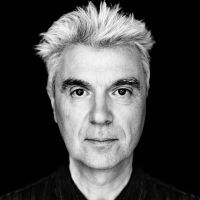 David Byrne will be performing songs from his Talking Heads years, as well as solo songs from his many albums, including the latest, American Utopia, which was released last March. Don't miss David Byrne in Montreal this summer !